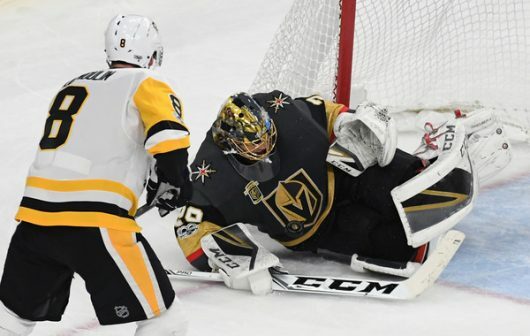 Should Penguins Regret Exposing Fleury To Vegas? 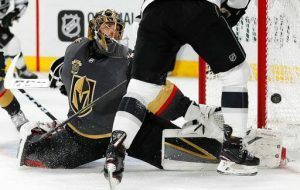 Marc-Andre Fleury is thriving as a member of the expansion Vegas Golden Knights, who currently sit just one win away from the Stanley Cup Final in their first year as a member of the NHL. Prior to being selected in the expansion draft, Fleury’s future with his former club, the Pittsburgh Penguins, was said to be uncertain. 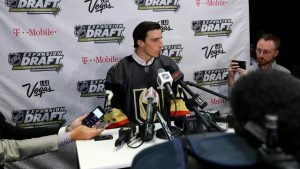 After moving to Vegas, he has proved all naysayers wrong, leaving virtually no room for criticism of the season he has put on for the Knights. With Pittsburgh out of the playoffs and with Fleury eyeing his fourth Stanley Cup championship, should the Penguins regret leaving him exposed this past summer? Up until this 2017-18 season, Marc-Andre Fleury spent his entire career with the team that drafted him back in 2003, the Pittsburgh Penguins. The former first-overall pick led the Pens to the Stanley Cup in 2009, and again for back-to-back Cup wins in 2016 and 2017. However, due to consistent playoff disappointments in between 2009 and 2016, Fleury saw himself slowly phased out of the Penguins’ crease in favor of young up-and-comer Matt Murray. In the 2016 playoffs, Fleury appeared in only 2 games for the Pens, while Murray ultimately stole the show in his rookie year and appeared in 21 games en route to a championship. In 2017, Fleury stepped in in lieu of an injured Murray to lead his team to the Eastern Conference Final, where Murray took over upon his return and again led his team to another championship. Fleury, for perhaps the first time since the 2009 Stanley Cup playoffs, was stellar in the 2017 playoffs for Pittsburgh, going 9-6, with a 2.56 GAA and .924 SV%. However, Head Coach Mike Sullivan’s move to stick with Murray for the remainder of the playoffs made his agenda abundantly clear. Fleury’s time was done, and Murray’s time had just begun. Pittsburgh Penguins General Manager Jim Rutherford and the rest of the front office had more than enough incentive to part ways with longtime beloved goalie Marc-Andre Fleury, and finally pass the torch to someone else, that someone being Matt Murray. After all, Murray proved two years in a row, coincidentally his first two years in the league, that he could handle the position and the pressure that came with it. Essentially, without Matt Murray, the Penguins might very well have been without two Stanley Cups. The entire 2016-17 season was filled with rumors of Fleury being exposed and taken by Vegas in the expansion draft, and lo and behold, it happened. Fleury has dismissed all doubt of him being washed up and past his prime. This regular season with Vegas, he posted a 29-13-4 record in 46 GP, with a 2.24 GAA and .927 SV%, with 4 shutouts. He would have played more games if it were not for an extended injury in the early season. In the playoffs this year, Fleury has not only done well, he has been historically incredible. In 14 games, he is 11-3, with a 1.72 GAA and .945 SV%, with 4 shutouts to add. Not only has Fleury shown he can still play, he is arguably single-handedly carrying the Knights this far. And what was this talk of Fleury being “washed up” anyway? In 6 of the 8 seasons with Pittsburgh after his Stanley Cup win in 2009, Fleury posted a goals against average and save percentage better than what he had in that Cup-winning season. The season prior to his last one in Pittsburgh in 2015-16 saw him post 35 wins, with a 2.29 GAA and .921 SV%, with 5 shutouts. So, rather than being past his prime, the 33-year old goaltender is proving exactly the opposite. And what about Matt Murray, the 23-year old two-time Cup winner the Penguins elected to protect moving forward? Matt Murray’s numbers have gotten progressively, and drastically, worse since his rookie year. In his three years with Pittsburgh, Murray’s GAA has increased from 2.00, to 2.41, to 2.92. Likewise, his SV% has declined year-by-year, from .930, to .923, to .907. He also posted just 1 shutout this past regular season compared to 4 from the year before. In a 2018 second-round playoff exit against the Washington Capitals, Murray ended 6-6 with a 2.43 GAA and .908 SV%, along with 2 shutouts. Some further number crunching will show that the disparity between both the careers of Fleury and Murray are minimal, if existent at all. In his 15-year career, Fleury has 737 GP, and is 404-229-2-70. He has career numbers of a 2.56 GAA, a .913 SV%, and 48 shutouts. On the other side, Murray has 111 GP, is 68-28-8, and has a 2.58 GAA, .917 SV%, and 6 shutouts. Both goalies also have similar stats in the playoffs. In his Stanley Cup playoffs career, Fleury has 129 GP, with a 73-54 record, and a 2.54 GAA and .913 SV%, with 14 shutouts. Murray’s playoffs career consists of 44 GP, a 28-15 record, a 2.08 GAA, .923 SV%, and 6 shutouts. Each goalie is virtually indistinguishable from their numbers. The only distinguishing factor is that, proportionally, Fleury can be hailed as largely more consistent, based on the sheer sample size. So, at the end of the day, do the Penguins have reason to regret their decision in exposing Marc-Andre Fleury to the Vegas Golden Knights? Although Murray has faltered as of late, the answer for them is probably no. No Penguins fans, players or management disliked Fleury or wanted to see him fail, and are probably ecstatic to see him doing so well. As for their own plight, the Pens honestly shouldn’t be worried about Matt Murray as the long-term solution; he should do just fine. He has won two Stanley Cups in his young career already, and with some extra rest this offseason should be ready to make another deep playoff run come next year.